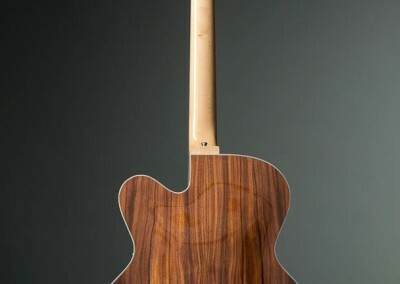 The upper cover of the body is made out of spruce, the back and the sides are made out of rosewood. 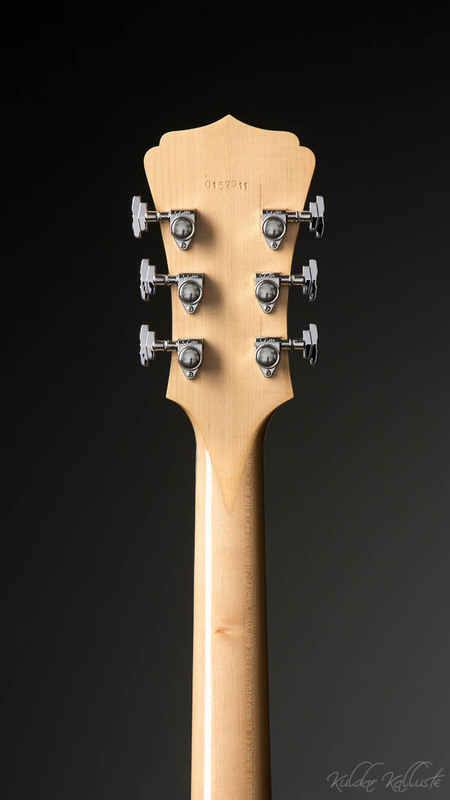 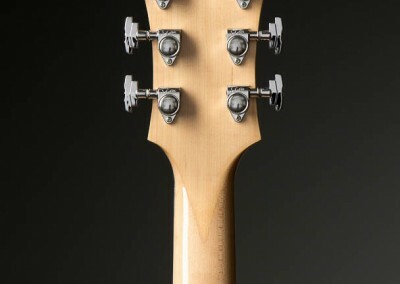 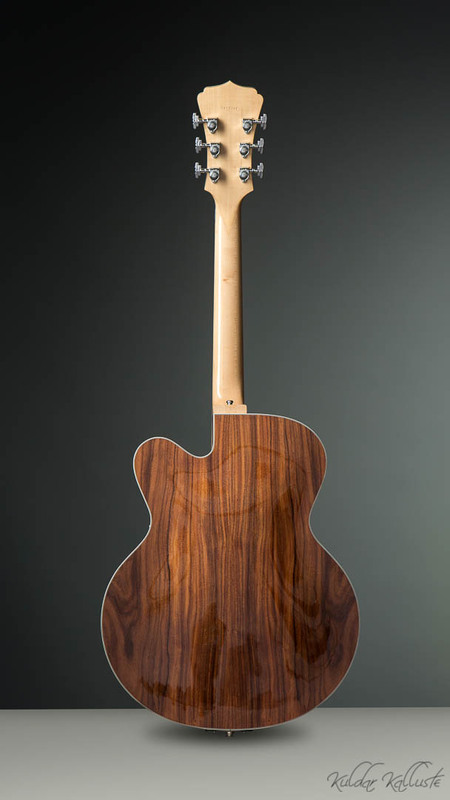 The neck is traditional glued 3-pieces of maple and the fretboard is made from ebony. 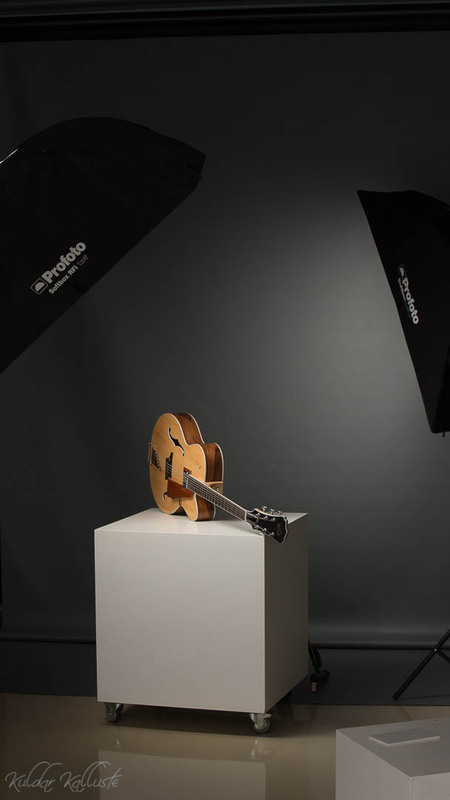 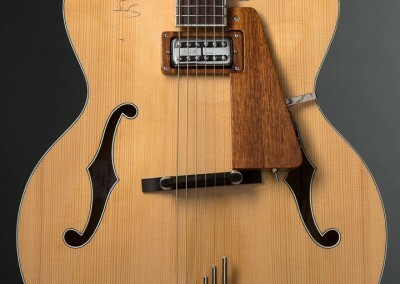 The tailpiece is one of a kind. 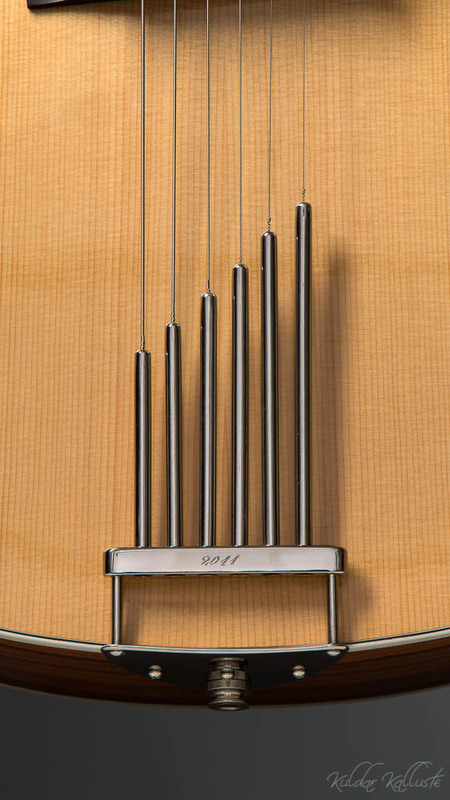 It is made from stainless steel and the strings go through the six pipes, which make an organ-like sound. 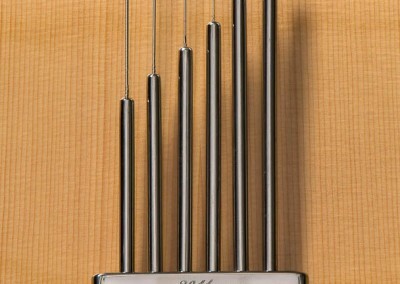 This gives the sound a specific tone. 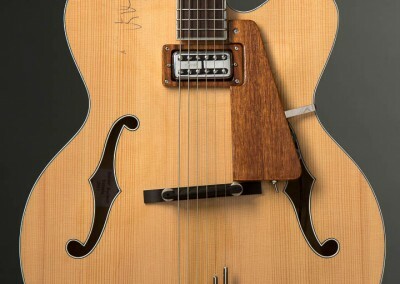 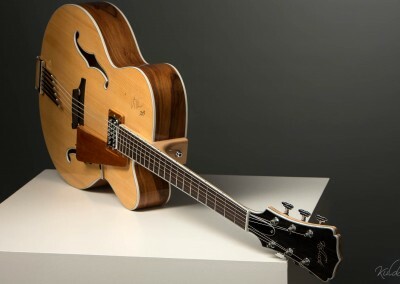 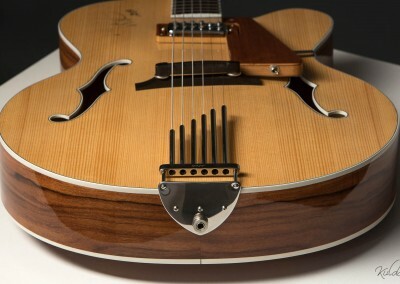 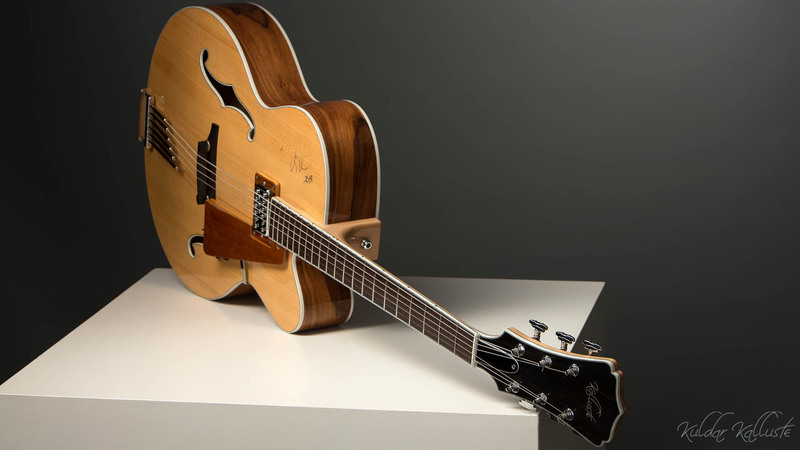 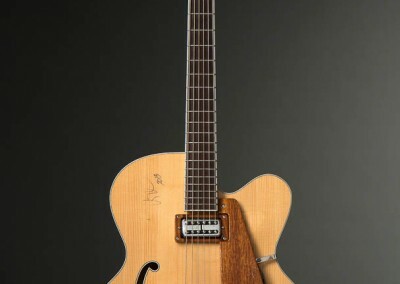 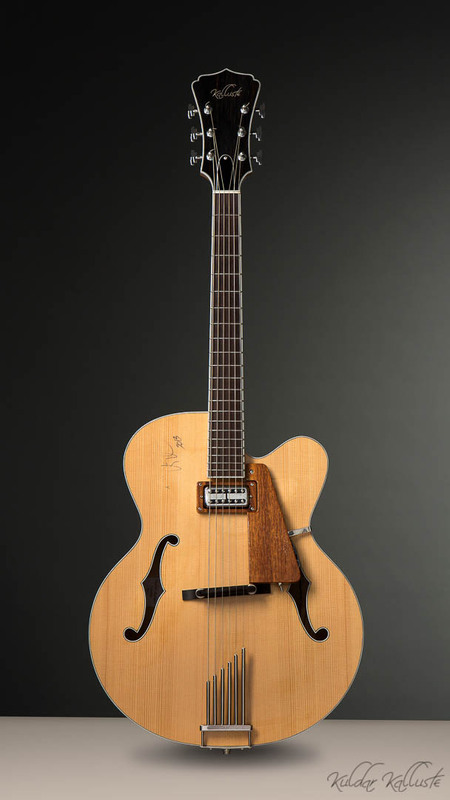 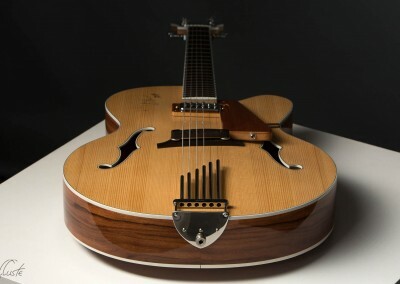 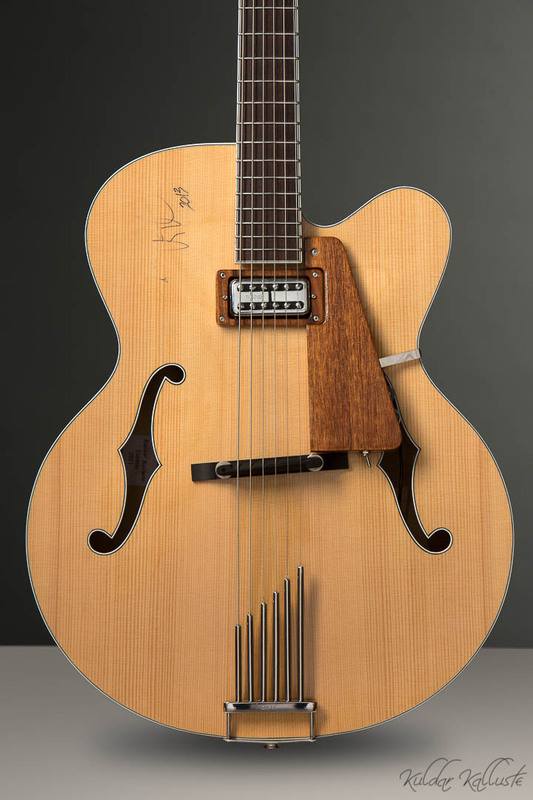 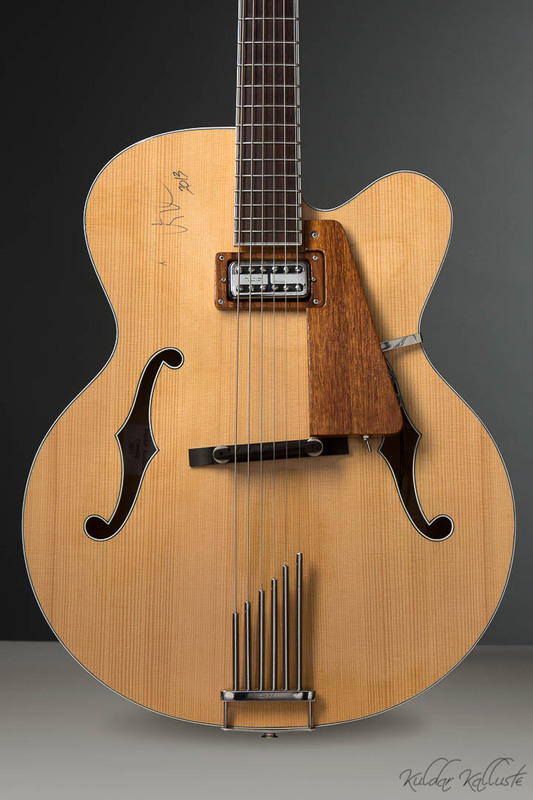 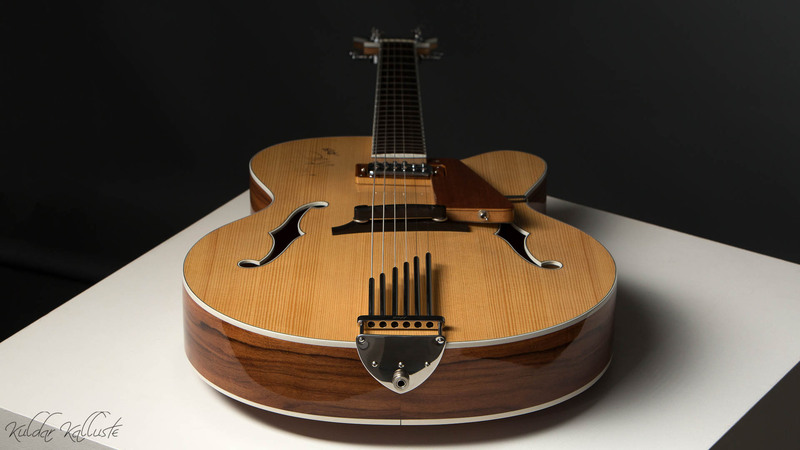 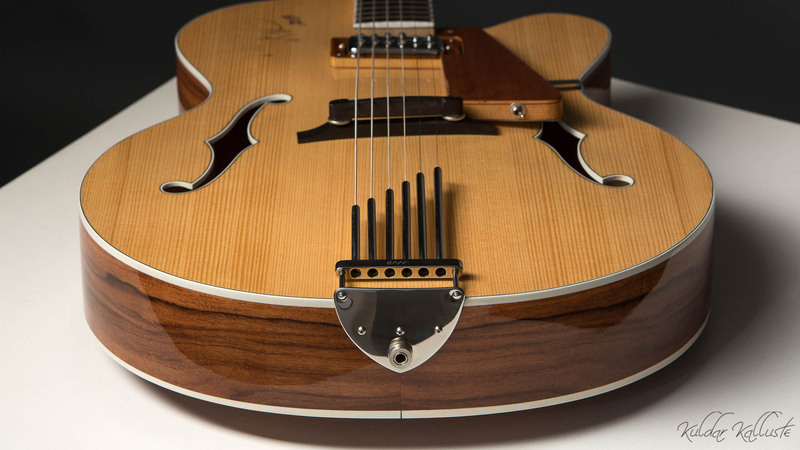 The ISABELLA, my archtop electric guitar, I completed in 2011 sports a custom engineered TV Jones pickups. 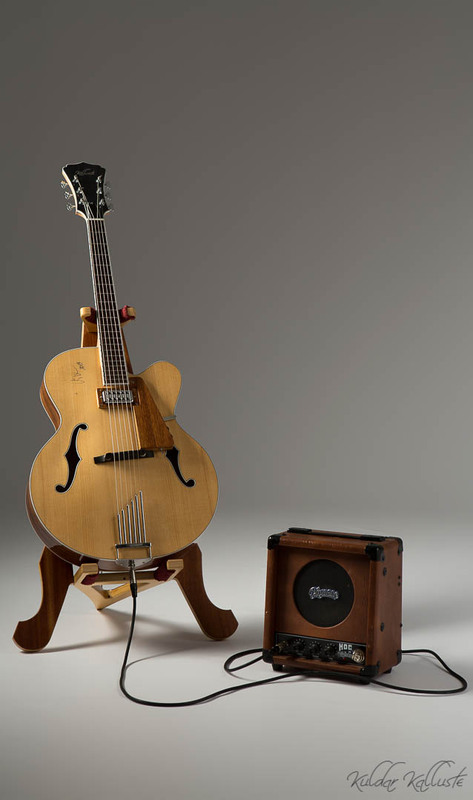 When recording you are able to simultaneously pick up both the acoustic and electric output which compliment each other rather well. 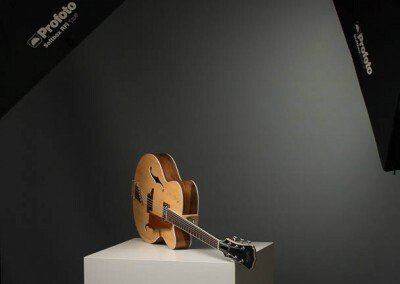 You can listen to this effect as Vítor Zafer performs for you on the ISABELLA.